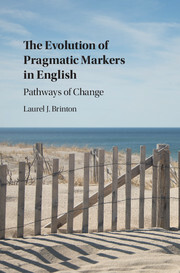 Based on a rich set of historical data, this book traces the development of pragmatic markers in English, from hwæt in Old English and whilom in Middle English to whatever and I’m just saying in present-day English. 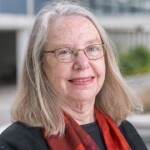 Laurel J. Brinton carefully maps the syntactic origins and development of these forms, and critically examines postulated unilineal pathways, such as from adverb to conjunction to discourse marker, or from main clause to parenthetical. The book sets case studies within a larger examination of the development of pragmatic markers as instances of grammaticalization or pragmaticalization. The characteristics of pragmatic markers – as primarily oral, syntactically optional, sentence-external, grammatically indeterminate elements – are revised in the context of scholarship on pragmatic markers over the last thirty or more years.